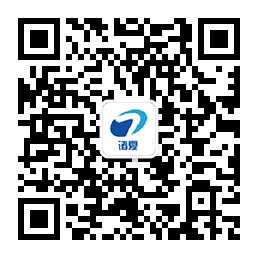 Modern Hero Technologies(Shenzhen) CO.,LTD. is an international leader in the distribution of weight-related products and process-control equipments. We now have developed direct contacts with many famous manufacturers for load cells, pressure transducers and other relative instruments around the world. For example, Vishay Celtron �C Tedea Huntleigh �C Sensortroncs(STS) �C Nobel - BLH, Interface, Omega, Transducers Technologies, Transcell. Rice Lake, MSI/MEAS, NMB, NTS, Kyowa, HBM, Sarrorius/Philips, GTM. Bongshin, DACELL, Fine, Laumas, N.B.C. and so on. Our roots are planted firmly in the principles of quality and customer service. Today, our company is renowned for delivering the highest standard of products and the best services in the weighing industry in our country. And we have a professional team of sales and technician for customers Meanwhile, our good geographical location(nearest to Hongkong) ensures fast and efficient imports. We will continue our dedication to being the best by every measure and the promotion of ethical business practices that represent the values of our customers, our employees and our company. We look forward to have more sensor manufacturers to join on our team. We are willing to set up a “green brige” for your company and your products in the Chinese market. If you would like to explore the markets for your products, please don’t hesitate to contact us. webmaster@mhsensor.com We will reply you immediately.